Rev. Peter Johnson at his home in southern Dallas. He says Micah Xavier Johnson offered to work security for protesters outside a Donald Trump appearance in Dallas. Three weeks before Micah Xavier Johnson opened fire on Dallas police, he offered to work security for protesters outside a Donald Trump appearance in Dallas. Organizers said “no way” – because Johnson wanted to bring a gun. Rev. Peter Johnson is a longtime Dallas civil rights activist – and no relation to the suspected shooter. Johnson has led marches for decades, going back to his years with Martin Luther King Jr. He’s lived by King’s ethos of non-violence. 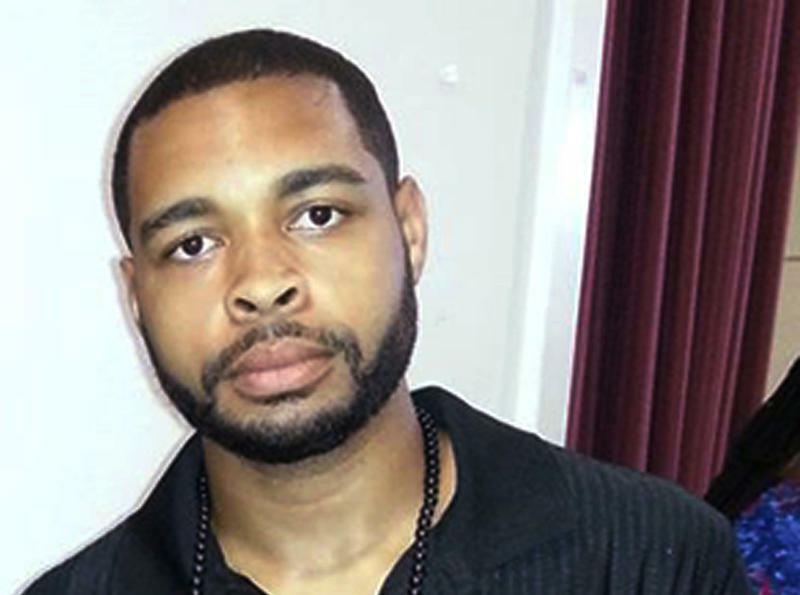 Johnson was helping plan the June rally against the presumptive Republican presidential nominee when a man named Micah Xavier Johnson appeared. Through the years, Johnson has seen death and violence visited on friends and colleagues by people using guns. “This pathologic affair that America has with guns, we’re the laughing stock of the world because of this," Johnson says. At the march against Trump, one man was arrested, another hit by a thrown rock. Otherwise, the protest was peaceful. So was Thursday’s march through downtown Dallas, until Micah Johnson appeared. Memories Of A Dream: Dallas Reverend Recalls 1963 In Washington D.C.
Wednesday in Washington D.C., America will commemorate a speech that changed the world. Martin Luther King Jr.’s “I have a dream” speech is just as powerful today as in 1963. Dallas Reverend Peter Johnson was a skinny 18 year-old that summer, fresh from jail. He remembers every detail from his trip to the March on Washington where he heard Dr. King’s profound words on the steps of the Lincoln Memorial. Johnson also remembers where he first fought for civil rights; on the river by his tiny hometown in south Louisiana.